Can I ski the slope or not? The challenge of riding in avalanche terrain is making good decisions. 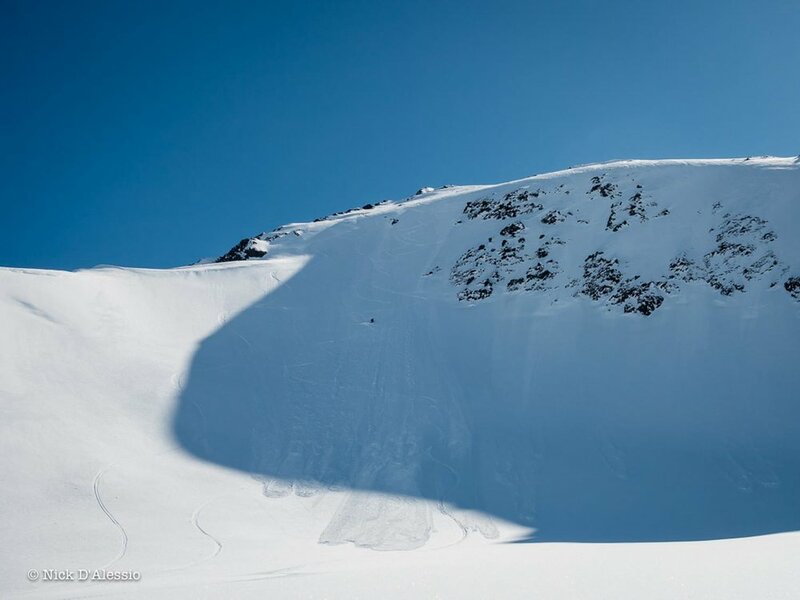 This 33-hour course is designed for the advanced skier/rider with backcountry experience who wants to improve their game in avalanche terrain. You will build upon the foundation you developed during your Level 1 and Avalanche Rescue courses. You will gain a deeper understanding of avalanches, further hone your hazard assessment and decision-making skills and begin to understand how to choose terrain to match the current avalanche conditions. We also give you the skills to prepare at home whether you are heading to roadside slopes or flying into a remote zone. This course is light on snow science and heavy on the practical application of learning skills to move through avalanche terrain. Proficiency with your field gear. This is not a backcountry ski course. Fitness for three consecutive days in the mountains, skinning up about 2-3,000 vertical feet each day. 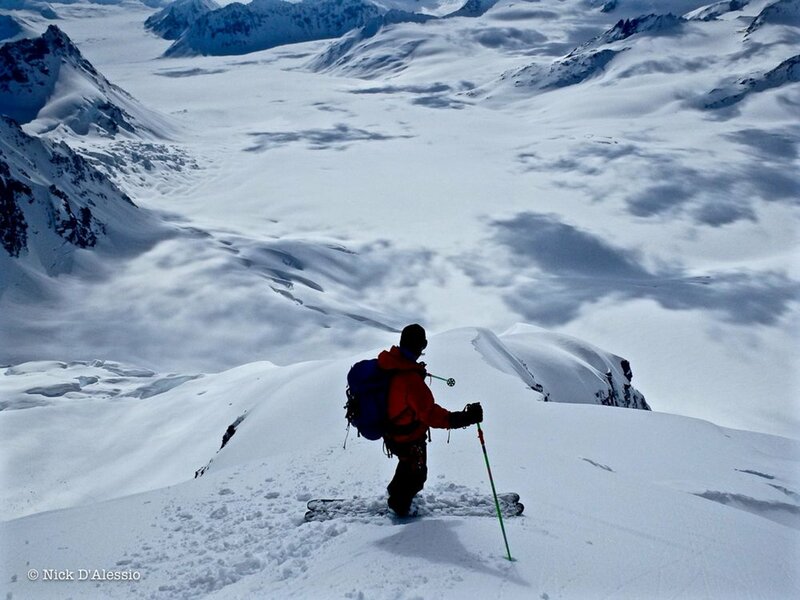 Level 1 Avalanche Training from an American Avalanche Association approved provider. 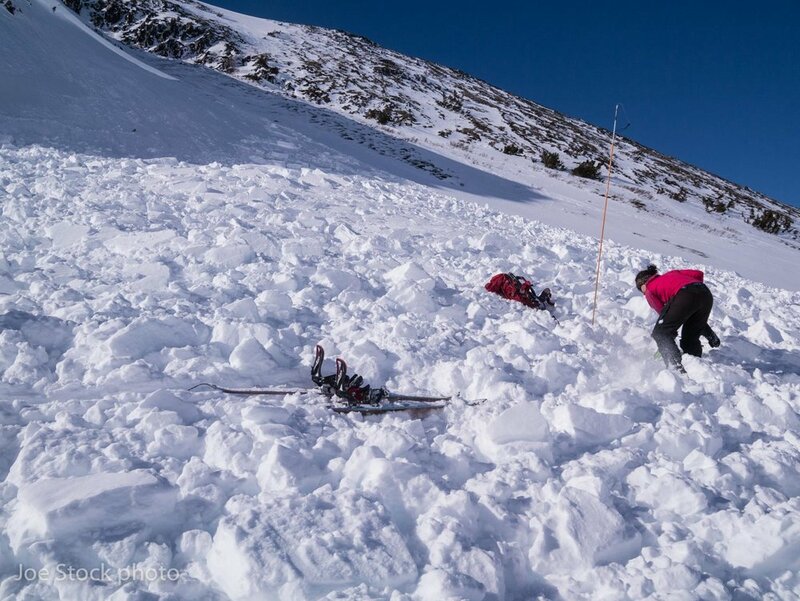 8-hour Avalanche Rescue course from an American Avalanche Association approved provider. Required. At least a year (15+ backcountry days) of practicing the skills from your Level 1 Avalanche Training. Read Staying Alive in Avalanche Terrain by Bruce Tremper, 3rd edition. Try to conduct five extended column tests that target the weak layer of concern. Ability to consistently find and excavate one victim with a beacon, buried one meter deep, in less than five minutes. Attempt to find and excavate two victims with beacons, buried one meter deep, in seven minutes. For navigation, load the Theodolite app and Gaia GPS app onto your phone. For trip planning, load Google Earth Pro onto your laptop. Then add the Earth Point topo layer to Google Earth by clicking the View on Google Earth button, then dragging Earth Point Topo Map from Temporary Places to My Places in Google Earth. Jan 15, Weds, 6-9pm, classroom session at Alaska Rock Gym. Jan 16, Thurs, 6-9pm, classroom session at Alaska Rock Gym. Jan 18, Sat, 8am-5pm, morning meeting and Turnagain Pass field session. Jan 19, Sun, 8am-5pm, morning meeting and field session, plan A: Turnagain Pass, plan B: Hatcher Pass or other Anchorage area. Jan 20, Mon, 8am-5pm, morning meeting and field session, plan A: Turnagain Pass, plan B: Hatcher Pass or other Anchorage area. 33 hours of professional instruction. 9 hours of indoor lecture. 24 hours of field instruction. Staying Alive in Avalanche Terrain by Bruce Tremper.